Super mah jong tiles game - you can choose from over 300 layouts, all distinctly original and range from very easy to extremely challenging, download this new mah jong solitaire game to have a try now ! 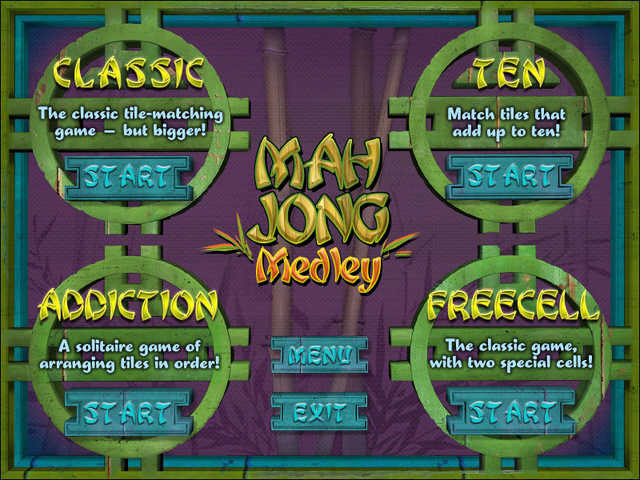 Mah Jong Solitaire Game - Mah Jong Medley has 4 game modes to choose from. 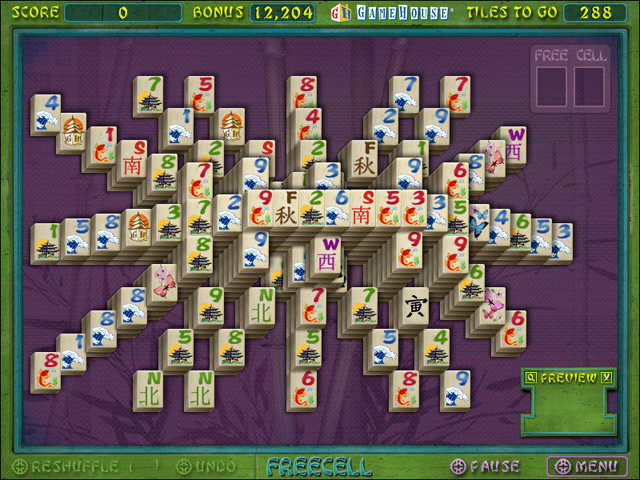 Classic mode allows you to play like you've always played Mah Jong Solitaire. Select two tiles that add up to ten in Ten mode. Move up to two tiles out of the way in Free Cell. Rearrange tiles in numerical order in Addiction mode. Now you have 4 exciting ways to play Mah Jong Solitaire. Get your free Mah Jong tiles trial now ! Never before seen Addiction Mah Jong mode. 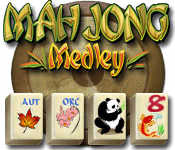 Mah Jong Medley saves your progress automatically! Classic, Ten, and Free Cell game modes have over 100 layouts each! Use the undo button as much as you like.